The academic year in Germany is divided into two semesters: the fall (Wintersemester), and the spring (Sommersemester). Between the two semesters is a lecture-free period. 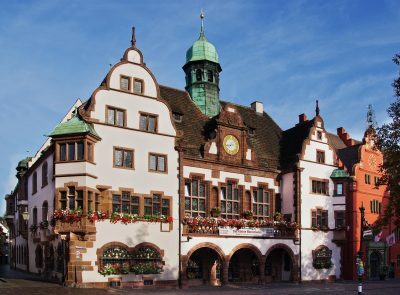 The University of Freiburg offers both unsurpassed beauty and one of the warmest climates in Germany. It is located in a picturesque valley on the western border of the Black Forest. Founded in 1457, it is the second oldest university in Germany. It offers a wide range of liberal arts courses as well as a fully developed Deutsch als Fremdsprache program. The University of Heidelberg is nestled between rolling hills, where the Neckar River spills out into the Rhine plane. 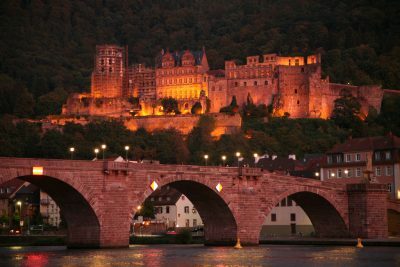 Under the watchful eye of the famous Heidelberg Castle, the university is interspersed throughout the city. Founded in the 14th Century, the University of Heidelberg has a strong tradition in the liberal arts and has taken its place as a leader in the sciences and medicine as well. It also has an extensive Deutsch als Fremdsprache program. The University of Hohenheim is located in Stuttgart, the capital of Baden-Wuerttemberg. Its roots date back to 1818 with the founding of an agricultural research and teaching institute which became a college of agriculture and a full-fledged university in 1967. 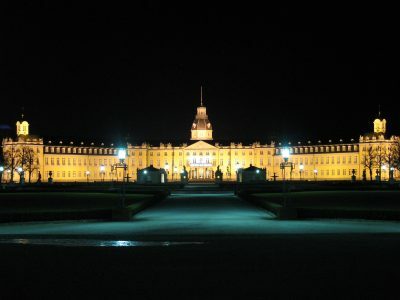 While emphasis at the University of Hohenheim remains on the biological and agricultural sciences (including animal science), economics (including business administration), nutritional sciences and communications are other represented specializations. The Karlsruhe Institute of Technology opened its doors in 1825 as a polytechnic school to 250 students. With 20,000 students today, it is a major technical university comparable to MIT or California Polytech. Karlsruhe offers degrees in 40 different fields. Its largest programs are in civil, electrical and mechanical engineering; computer science; and the natural sciences. It also has offerings in the humanities and social sciences. The University of Konstanz was founded in 1967. The largest program of study in Konstanz is political science/public administration. Konstanz is a campus university and is housed in ultra modern structures in close proximity to each other. 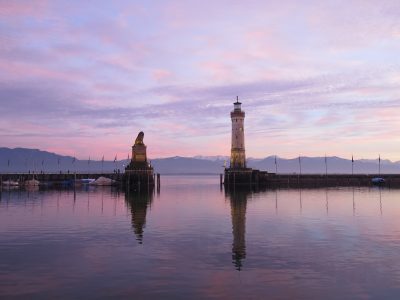 The town of Konstanz lies on the shores of Lake Konstanz (Bodensee), which shares its borders with Switzerland and Austria. 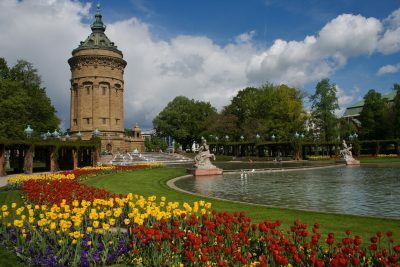 The University of Mannheim, which began as a school of commerce and business in 1907, offers a metropolitan environment with easy access to some of Baden-Wuerttemberg's largest business firms and cultural centers. A university since 1967, its largest program is in business administration and economics. It is also highly regarded in the social sciences (including history and education) and has excellent programs in the humanities (including modern and ancient languages). As a school of business, Mannheim has consistently received the highest ranking not only in Germany but also throughout Europe. Located in the capital of Baden-Wuerttemberg, the University of Stuttgart began service in 1829 as a high school of commerce and trade. By 1890 it had developed into a technical college. In 1967, it was elevated to a full university. Today Stuttgart boasts 120 departments housed in 14 schools. Some of the best known are the school of architecture and city planning and the school of aeronautical and space engineering. The university of Stuttgart is highly regarded in all branches of engineering and has an especially strong profile in the natural sciences and mathematics. The course offerings in the liberal arts (humanities and social sciences) are impressive. Like Karlsruhe, the University of Stuttgart has much in common with MIT or California Polytech. 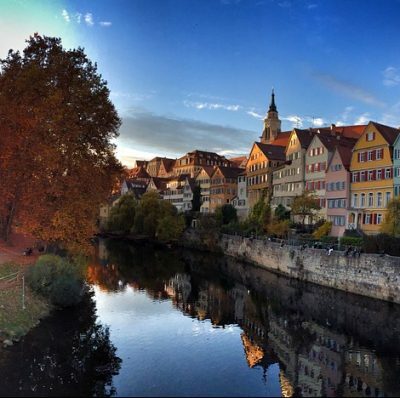 Located at the edge of the picturesque Swabian Alb, and enjoying the serenity offered by the gently flowing Neckar, the University of Tübingen is part of a genuine university town. Of the city's approximately 85,000 inhabitants, over a third are either enrolled at or work for the university. Founded in 1477, the University of Tübingen now offers a wide range of academic disciplines, from traditional liberal arts to computer science, and students get to choose from a large number of courses in Deutsch als Fremdsprache. 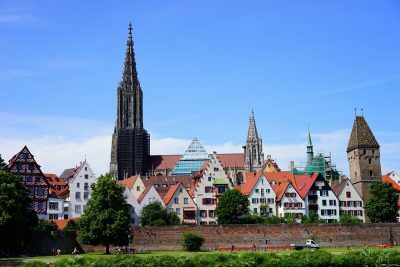 Situated on the banks of the historic Danube River, the Ulm University was founded in 1967. Ulm’s curriculum centers on medicine, mathematics and the sciences (including electrical engineering and computer science). Ulm does not have courses of study in the humanities and social sciences with the exception of economics. 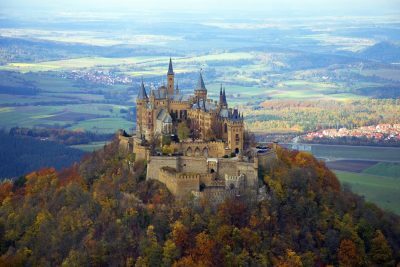 The city borders on Bavaria and both Stuttgart and Munich are less than a 2-hour train ride away.